Large donations from corporations and foundations make what we do possible. From funding entire water projects to underwriting hygiene education programs, large donations allow us to continue to fulfill this vital mission. Donors can fund borehole projects or adopt entire village Green Hub projects. Every donation is important and appreciated, and moves us closer to another borehole, water pump or sustainable farming training workshop. The possibilities and needs are endless. Please contact us to find out more, or donate here directly. LifeStraws are water filters created to convert contaminated water into clean, safe drinking water. 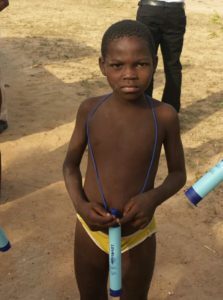 For more than 10 years, UK Rotary Clubs have purchased the LifeStraws HOW Global distributes to children in need in some of the most rural areas of the world. Sponsors have helped support the delivery of more than 3000 LifeStraws directly into the hands of needy children. 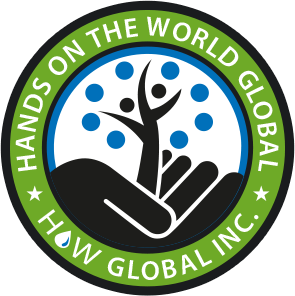 Check out the HOW Global LifeStraw Emergency Response Initiative Facebook Page. We encourage you to create a fundraiser of your own. Supporters have put on galas, brought Founder Rachael Paulson in for book signings, run Change for Water campaigns in local schools, and even launched a cross-country hiking event to support our work. Partner with us to bring an entire village in need through the process of establishing and growing a Green Hub and achieving true and lasting sustainability. Contact us today to find out how you can make this happen.